Everyone knows how much hassle a move can be. Well, Master Relocations take the hassle out of this normally stressful and painful process. Let Master Relocations take care of it! As you can imagine, moving a school or university takes some muscle. Master Relocations have a proven track record in relocating large educational establishments. Moving offices is a big move for any business. We know that you have better things to do than worry about the nitty gritty of relocating your assets. You can rely on us! Don’t have time to pack your goods, Master Relocations is one of the few removalists who will actually pack your cartons for moving. Save time and energy, let us do it! Master Relocations is your leading provider of Residential, Corporate Relocations and Storage services in Melbourne, Victoria and Australia wide. With over 25 years experience, you can entrust Master Relocations with your move. Being a quality driven removals company ensire that the Master Relocations team has the experience, commitment and motivation to guarantee a successful move every time. We are available to help you plan, schedule, pack and manage your residential or corporate relocation, however small, large or complex. We use these guys regularly for our commercial work and they're fantastic. Floyd, Gianne and Vinny are our usual guys and they kill it! Their care, patience and strength make our projects run smoothly and efficiently, taking the stress out of the day. I highly recommend Master Relocations. A++ company. I just want to express my highest praise to you and your colleagues for the job you did in moving our furniture and contents last Friday 15 March. Firstly to you for the clear communication and organising our job so efficiently and also the office staff we had some dealings with. 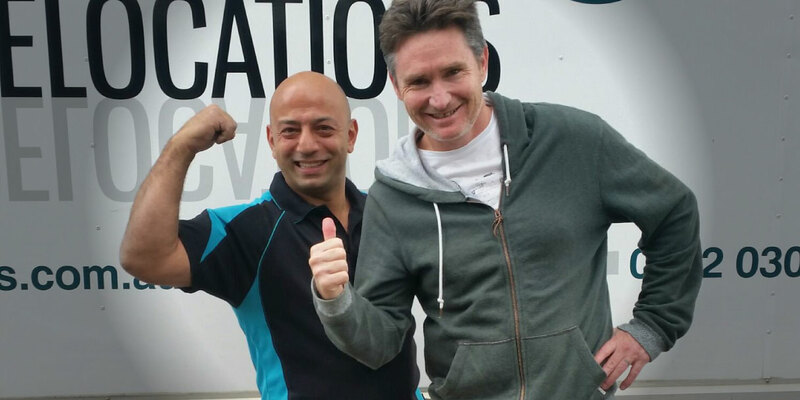 In particular my wife and I were really impressed by your removalists Anthony & Joel. They were both very professional and hard working, but at the same time also very friendly and helpful. Anthony is fantastic and lugged most of our furniture and countless boxes up two flights of stairs, whatever you’re paying him is probably not enough! Thanks so much for everything today. Your guys were totally amazing! We were so impressed. Thanks also for organising the storage unit and the locks! Our Interior Design Company uses Master Relocations for all our installation and removal needs. 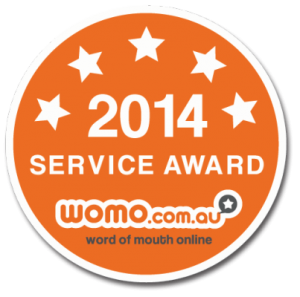 We've had the pleasure of working with Alex and his team for two years now and we could not recommend them more. Their punctuality, efficiency and care make our day streamlined and stress free. We highly recommend anyone to use Master Relocations, you won't be disappointed. 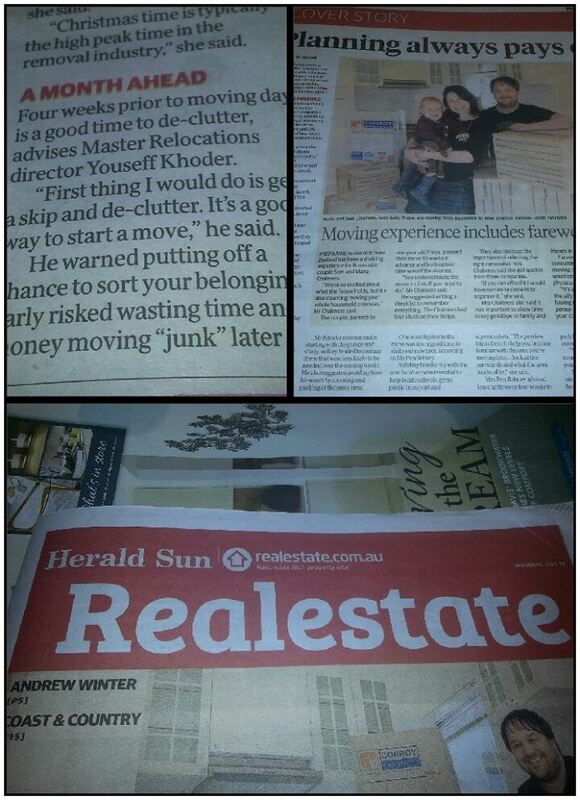 In case you missed it, Youseff our director here at Master Relocations featured in the Herald Sun on Saturday! The Herald Sun required moving advice for residential relocations to feature in their Real Estate section. Of course, being readers of the Herald Sun ourselves and keen to get our faces in to the papers we obliged. 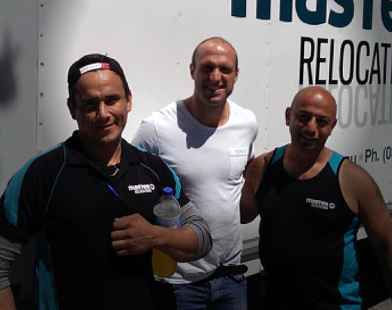 One of the perks of our job is meeting interesting people… no exception was this move we did for Chris and Rebecca Judd. It was nice to meet you guys and we hope you will call us for you next move. From the Master Relocations crew! – Must hold a full licence. 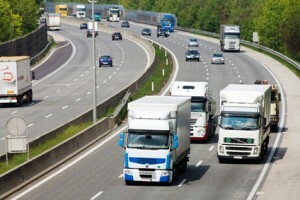 MR licence not essential but would be of benefit to drive our larger trucks if need be. – Previous experience in furniture removals. – MUST be reliable, punctual and trustworthy. – Must be available to work long hours (days) including weekends. [Hours may vary from day to day]. – Melbourne wide, No interstate work required. Copyrights © Master Relocations 1987-2019. All rights reserved.